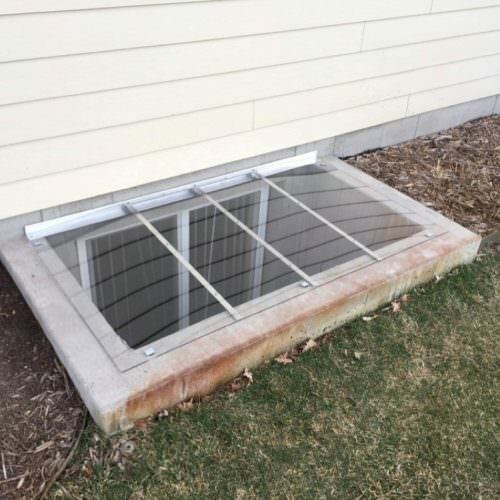 Our Square / Rectangular Window Well Covers come in a variety of styles for you to choose from: 100% Rust-Free Aluminum, Sloped Crystal-Clear Polycarbonate, Flat Crystal-Clear Polycarbonate. and Atrium Dome styles. 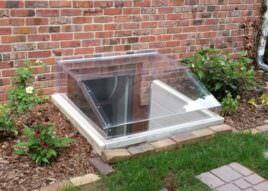 We custom make each and every window well cover to your exact measurements to get you a 100% perfect fit. 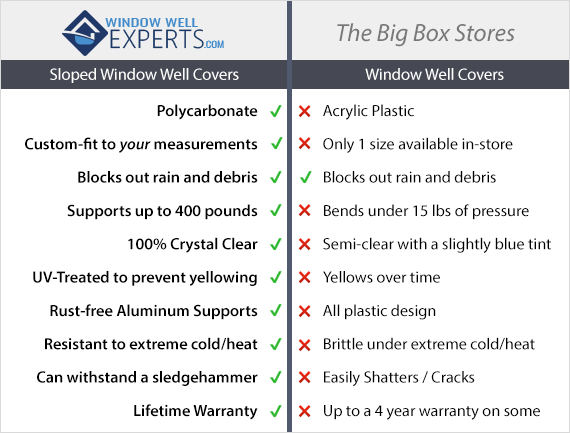 We’ve made custom window well covers in a variety of shapes and sizes, and have helped those with unusual square shaped window wells finally find a cover that works for them. 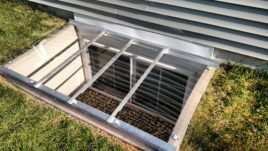 No matter the type of well: brick, concrete, composite, metal, or other, we can make a window well cover that will fit perfectly. 100% Rust-Free Aluminum Window Well Grates in a rectangular shape. Available in custom powder-coat finishes. 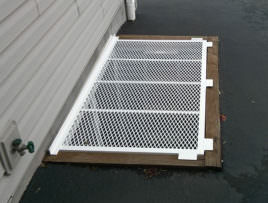 Interested in a square window well cover or aluminum grate from WindowWellExperts.com? Click here to start our simple free quote process!